The latest announcement, in the already star-studded line-up for Sci Fi Weekender next year, will be Stargate‘s Christopher Judge. Christopher will be appearing alongside Ingvild Deila (Rogue One), Colin Baker (Doctor Who), Hugh Quarshie (The Phantom Menace) and Alistair Petrie (Rogue One). 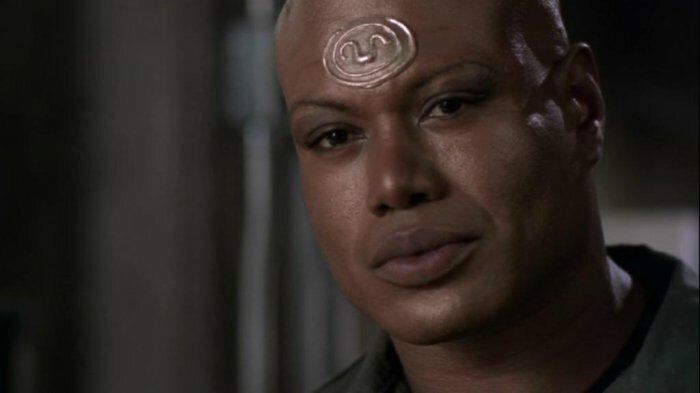 Christopher Judge first starred as Teal’c in Stargate SG-1. He then went on to appear in Andromeda, Stargate Atlantis, The Mentalist, and as one of Bane’s henchmen in The Dark Knight Rises. Meanwhile, joining Kevin J Anderson on the Author Track is bestselling writer Steven Savile. Living and working in Sweden, Steven has written for Doctor Who, Torchwood, Primeval, Stargate, Warhammer, Slaine, Fireborn, Pathfinder, Arkham Horror, Risen, and other popular franchises. Snowbooks will be launching the first in a brand-new fantasy series, Bones of Empire, written by Steven and Aaron Rosenberg, possibly with fanfares, clowns, jugglers and dancers, but almost certainly with drinks, at the event. SFW takes place at Pwllheli in North Wales on 22nd to 25th March next year. To book one of the last remaining rooms or boarding passes either do so online or call 0207 193 0490.